A Franchise Agreement is a legal, binding contract between a franchisor and franchisee. Franchise law in various Canadian provinces recognizes the importance of franchisees receiving as much information as possible before binding themselves to a franchisor who holds considerably more power in the business relationship. Currently, the provinces of Ontario, Alberta, Prince Edward Island, New Brunswick and Manitoba, have franchise legislation in place to protect the need for franchisees to make educated investment choices. Franchisors must ensure they release in the disclosure document the information that is necessary to enable you to make a reasonably informed decision. 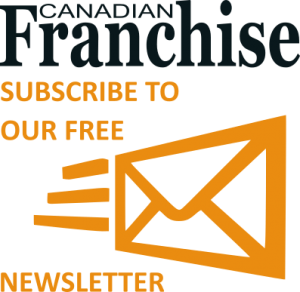 “The purpose of the franchise disclosure document – a compendium of information about the franchise system which franchisors are required to provide to franchisees operating businesses in those particular provinces. The legal requirement to deliver a disclosure document is not taken lightly, and a franchisee’s right to receive one prior to signing a franchise agreement cannot be waived by a franchisee. Law also states that a disclosure document must be delivered to a franchisee at least 14 days before that franchisee signs any agreement relating to the franchise or makes any payment to the franchisor. The franchise agreement attached to the disclosure document should be in its final form. This means that the schedule of the franchise agreement must be completed with all the commercial details specific to your franchised business and the agreement must be the current version used by the franchisor. You will need to have decided on your franchisee entity (whether yourself, a company, trust or partnership) as disclosure needs to be made to the franchisee entity in order to comply with the Code. For those franchises that are retail based, the premises for the business is central to its success. Usually, either the franchisor will hold the lease and grant to the franchisee a license to occupy the premises or it will elect to not hold the lease and the franchisee will be the lessee. Depending on the type and nature of the particular franchise system, the franchisor may or may not have an active role in negotiating the lease. If the franchisor holds the lease then you will be provided with a copy of the lease and a license to occupy. In both cases it is important to ensure that you have sufficient tenure on the lease to operate the franchise as the franchise agreement will usually end on the termination or expiration of lease (unless there is a relocation clause). You should carefully read all of the franchise documents provided by the franchisor and seek legal advice to ensure that you understand their force and effect. In some cases you may be able to negotiate clauses or special conditions to reflect your negotiated deal with the franchisor or to further protect you. Once the franchisor has served the disclosure documentation on the franchisee, the parties need to wait 14 days before entering into the franchise agreement. This disclosure period is mandated by the Code in order to give you sufficient time to contemplate your purchase and to get advice in relation to the terms.